With employees spread across the globe, organizations are now opting for instructional materials in multiple languages. One of our clients, the Learning and Development Manager at a major pharmaceutical firm wanted us to develop an e-learning course in English with the final quiz in multiple languages. 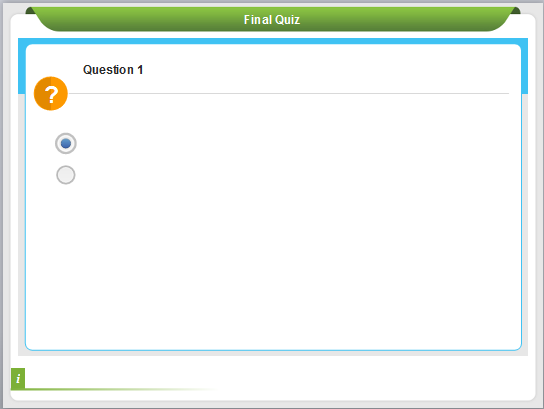 The learner was to be given a choice to select his preferred language and attempt the quiz at the end of the course. 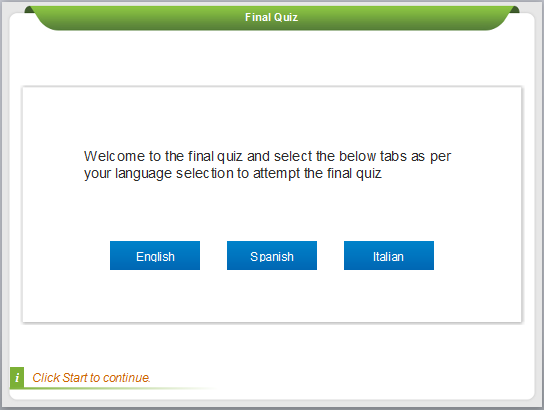 We developed the multilingual quiz in a single course using Articulate Storyline. 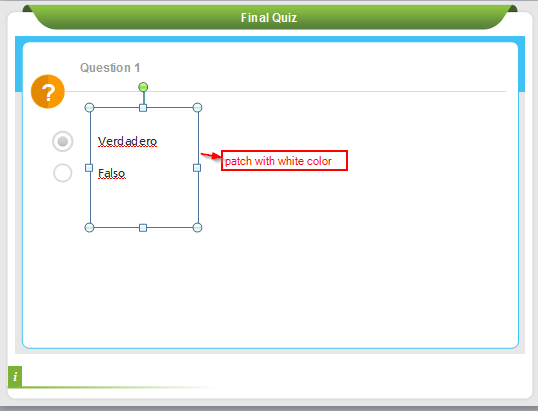 Create the final quiz with some True/False assessments. 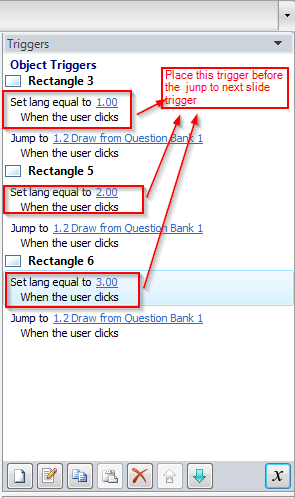 Add three tabs with the language titles In the quiz launch page and add the Trigger to jump to the respective question bank for all three tabs as shown below. Create a number type variable with the default value zero. Assign the triggers shown below to each tab. 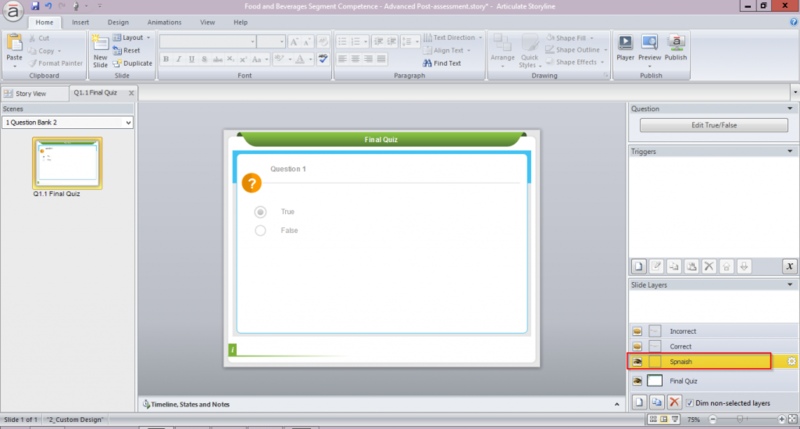 Add one True/False slide in the question bank; delete the options and place only the radio buttons. Add a textbox beside each radio button with the words True and False text in English. Create a layer and place the same textbox in that layer with Spanish text. Place a rectangular patch with white background on the textbox. 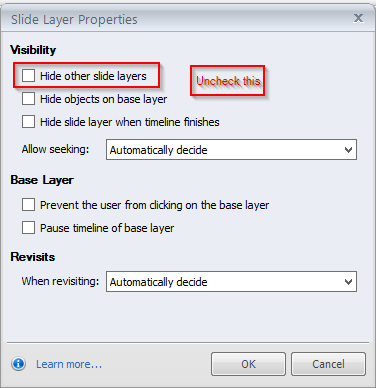 Add the below trigger in the base layer of the slide. 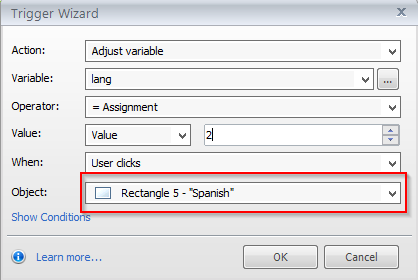 If the learner clicks the Spanish tab, the value two will be assigned to the ‘lang’ variable and navigates to the Spanish question bank. 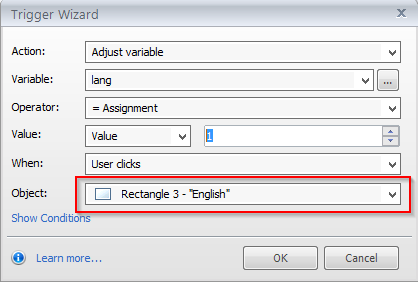 We have added a trigger to show the Spanish layer if the ‘lang’ variable value is two when the timeline starts. So the Spanish layer will be displayed.